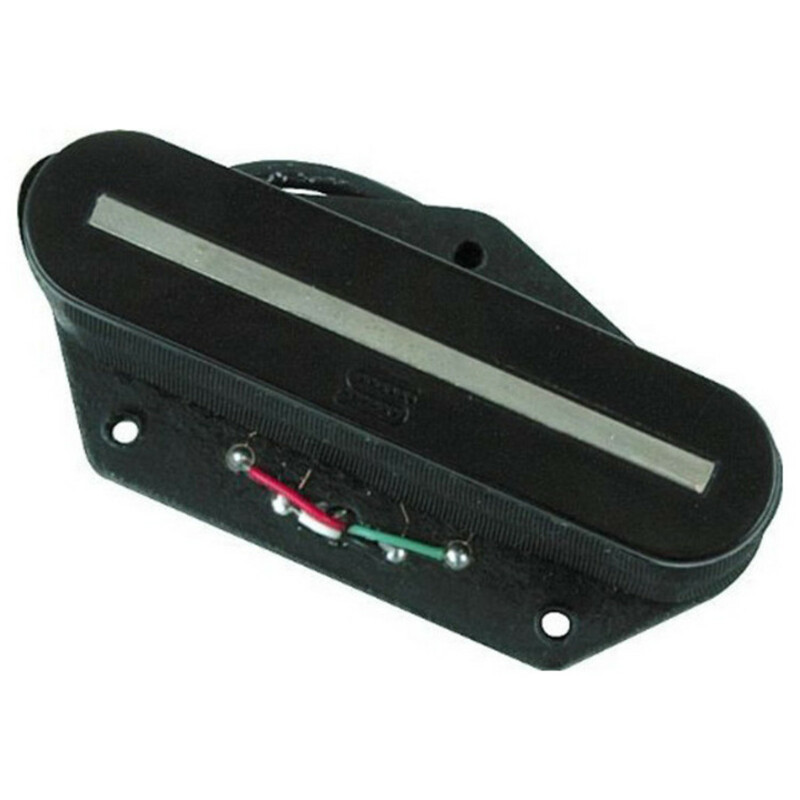 A bridge position lead pickup with muscular, twangy sound. Designed for the Telecaster, the STK-T2b is an impressive pickup from legendary manufacturer, Seymour Duncan. With extra power thanks to its added windings and alnico 5 magnet, the STK-T2b bridge position pickup can produce hotter, muscular, twangy sound with more midrange emphasis and greater sustain. This pickup comes in black and includes a four-conductor hookup cable. The STK-T2b Hot Stack Lead pairs nicely with the Seymour Duncan STK-T1n Vintage Rhythm Stack Pickup with hum cancelling and providing a versatile pickup set. The STK-T1 Rhythm Stack pickup is also available on Gear4music.com. This pickup is designed for all well-balanced instruments and works equally well with maple and rosewood fingerboards.